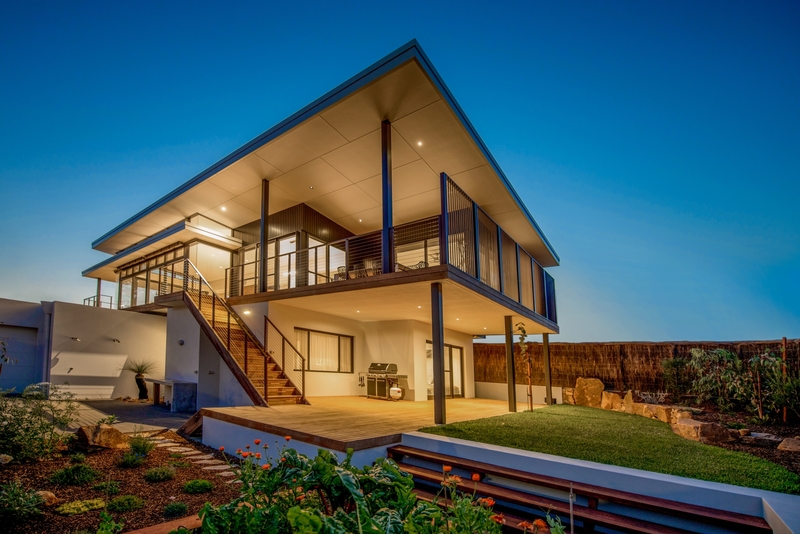 A modern take on the humble 1970's beach house, this home is a blend of design prowess and master craftsmanship. Cleverly designed, the Panorama lives up to it's name by maximising the view from all angles. The sophisticated, almost understated front elevation gives only a hint of what lies beyond. The large open plan living with high ceilings takes in the breathtaking views with full height windows, while still somehow maintaining a sense of homeliness, which is no doubt aided by the feature fire place, perfect for those cold winter nights. With a sprawling balcony and the iconic stairs leading down to to the backyard, this home is made for beachside living.